How Are Performers Elected to the Country Music Hall of Fame? Being elected to the Country Music Hall of Fame is the highest honor any country music performer, musician, songwriter, or professional in the country music industry can receive. Unlike other Hall of Fame institutions, the Country Music Hall of Fame is one of the most exclusive, most selective, and also one of the most secretive in how it selects its newest members. 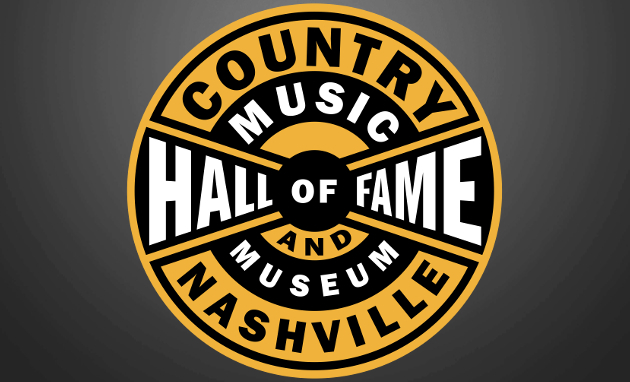 Only three new members are inducted into the Country Music Hall of Fame each calendar year under the current rule structure first ratified in 2010. One artist is chosen in the “Modern Era” (eligible for induction in this category 20 years after they first achieve national prominence), the “Veteran’s Era” (eligible for induction in this category 45 years after they first achieve national prominence), and the Non-Performer, Songwriter, and Recording and/or Touring Musician active prior to 1980, (rotates every three years). The Hall of Fame itself—meaning the building and the organization that operates it—don’t actually pick the new inductees. It’s the Country Music Association, or CMA who chooses the nominees and eventual inductees each year. But aside from these basic ground rules, and the stipulation that a potential candidate cannot be eligible for a year after they’ve passed away to discourage sympathy votes, the rest of the rules and bylaws governing how the Country Hall of Fame selects the newest inductees have remained virtually sealed, whether on purpose, or on accident, or just apathy towards posting them publicly. Nowhere on the Hall of Fame or CMA website can you find the official rules, and it’s been that way now for over half a decade. Numerous requests by Saving Country Music (and others) to obtain copies of the current rules have gone unanswered. However in 2013 and prior, the rules were published in plain sight by the Hall of Fame. Recently while a colleague was researching the differences between the Country Music Hall of Fame and its Rock and Roll counterpart, they were able to pull up the Country Hall of Fame rules via archive.org. With so many fan groups and families of artists attempting to petition the Hall of Fame for their favorite artists or loved ones to be inducted, the degree of difficulty in getting inducted due to the finite amount of spaces each year, and the importance of transparency with any process that holds as much weight as a Hall of Fame induction, it seems important these rules would be published publicly, and in complete form. And so with the one stipulation that these were the rules when they were last displayed publicly in 2013 and may have received minor tweaks subsequently, here is the official Country Music Hall of Fame election procedure in its entirety, and verbatim. CMA established the Country Music Hall of Fame in 1961 as an institution devoted to recognizing and honoring noteworthy individuals for their outstanding contributions to Country Music. The information below details the Hall of Fame selection process and criteria for evaluating candidates for the award. A Hall of Fame Nominating Committee will be vested with the responsibility of nominating a slate of Hall of Fame candidates. From this slate, which will also include a write-in portion for nominations on the first ballot, winners will be chosen by a panel of not less than 100 Hall of Fame electors. The committee will consist of 12 voting members, each serving a three‑year term. The CMA President and Chairman of the Board, along with the Chairman of the Awards & Recognition Committee, will serve as ex‑officio non‑voting members of the Hall of Fame Nominating Committees. The Hall of Fame Nominating Committees will each elect its own chairman. Each year, before the expiration of the terms of four members of the Hall of Fame Nominating Committees, the Awards and Recognition Committee will present four names to the CMA Board for ratification at their first quarterly Board meeting. A member whose term expires may again serve after the passage of three years. No member of the Hall of Fame Nominating Committees will be eligible for nomination to the Hall of Fame while serving on either of the Nominating Committees. A panel of at least 100 Hall of Fame electors will be charged with responsibility of selecting Hall of Fame winners. Electors will serve for life so long as they are in compliance with Items 7 and 8 below. Additional appointments may be made to the Panel of Electors as deemed necessary by the Board to maintain a sufficient number of Electors. The 12 members of the Hall of Fame Nominating Committee will also serve as Electors. Members of the CMA Board of Directors may also serve as Electors, but this role is not automatic. Electors must have participated actively in Country Music for at least 10 years and must themselves merit respect and recognition for their accomplishments and/or knowledge in one or more aspects of Country Music. Electors must be members of the Country Music Association. Electors failing to vote two consecutive years will automatically be considered incapacitated and their names dropped from the Panel. Written request will be required for reinstatement. Each year the Chief Executive Officer of CMA and the Director of CMF will each present five names to the Nominating Committees for consideration. The committees will not be limited to or bound by those suggestions. Neither the CMA CEO or CMF Director is an elected member of the Nominating Committees and, therefore, neither has voting rights. Each year, at a date chosen by the Association, the Hall of Fame Nominating Committees will, by majority vote conducted by secret ballot, nominate no less than 10 nor more than 20 Hall of Fame candidates as official nominees for each category to be inducted in that year. Deceased persons must have been dead one year prior to nomination. Non-Performer, Songwriter, and Recording and/or Touring Musician active prior to 1980 (rotates every 3 years). I’d take the Hall of Fame seriously if Paycheck and DAC had been inducted by now. Seriously, what the hell is up with that nonsense. It’s wrooong. It’s preposterous. It’s systemic oppression. Johnny Horton needs to be inducted ASAP, couldn’t believe he wasn’t already. It took Ray Price 40 damned years to get elected. It might take Johnny Horton another 40 at this rate. It’s hard to name another artist with as diverse a catalog for the time as Horton’s–country, rockabilly, history songs (a genre he practically invented). There aren’t many voices as good as his in any genre. He also wrote many of his own songs and was an excellent guitar player. What else could the guy have done? I’ll still crank up North to Alaska any old time. Yes, Johnny use to hold and play with me up through and past my 2nd Birthday before he was killed, my uncle Claude King were best of friends hunting and fishing writing songs and just the best of friends. Maren Morris is asked if they’re worthy. Then and only then are they elected. Now who can’t let the Maren Morris thing go. Still you. Can’t handle a little harmless sarcasm, Triggy? I didn’t realize the HOF was so CMA-centric. It really makes me wonder what kind of chance some of the great independent artists out there have of getting nominated and/or elected. It’s a big fellatiofest of big egos and small dicks. I can’t see a future where guys like Tyler Childers or Colter Wall aren’t some day in the Hall of Fame. Their initial output has been far too incredible to simply be lightning in a bottle. They are here to stay. And if their early lyrics are any indication, they may be two of the greatest songwriters and performers we have ever seen. I also understand they don’t get the mainstream recognition they deserve at the moment, but I choose to believe that hunger for authentic music wherein artists are largely writing and playing their own stuff will become too powerful to ignore and the long-overdue mainstream recognition and praise will one day be directed where it should have been all along. Then again, I’m biased because they’re the two modern guys that I listen to far more than any others out there. I’m glad you mentioned Tyler Childers. Purgatory is amazing and will likely be a top 10, if not the best album, of this decade. He offers something that so many great song writers lack in that his delivery is so aesthetically pleasing. I love his voice, which is not something I can say for a lot of my favorite songwriters (Guy Clark, John Prine). I’m relunctant to qualify him for HOF material because he is relatively new to the scene. But I am hopeful. And speaking of Guy Clark, How the hell is he not in the HOF. He was such an amazing songwriter that his flatulence rhymed. Multiple comments were deleted in this thread. Let’s please keep comments on topic, and respectful to other commenters. Thank you. I agree, I can’t stand cyberbullies. I don’t trust institutions- they want to control and this one deems itself in control of memories- I have my own HOF- if the “official” rule makers don’t like it- tough. Agree with you for sure, but seems like the establishment and even the hypocritical Opry do not like anyone who speaks their minds. She is her own woman and a strong willed person and she won’t be a pop star / country singer puppet. She damn well deserves it, but the the cookie cutters will be considered first, I think. Hope I’m wrong. Just as a query to this, Trigger: Is there also a minimum amount of time that an artist has to have been recording before they are considered for induction, as there is with the 25-year limit for the Rock and Roll Hall of Fame? As for performers who had legendary careers in country music but are both no longer alive nor in the Country Music Hall of fame–I would definitely agree that Johnny Horton should have been put in a long time ago, on the basis of what he accomplished, and not dismissed by the fact that his career and his life were both cut fatally short by a car crash. And while she’s still around, while again she never considered herself a country artist in the Nashville sense of the term, Linda Ronstadt should be looked at, for her own enormous influence on female country artists since the 1980s, and her own ability to do country songs in a way that proves that both traditional and progressive values can co-exist in the genre. Well, the Modern Era criteria says 20 years after they reach national prominence so I guess that would be the answer to your question. I still think the Modern vs Veteran categories are too squishy and seem to hurt too many deserving candidates. Here goes my annual two cents worth..Jerry Lee Lewis…..the Pete Rose of country music. With each passing year, I find it more and more ridiculous that Dwight Yoakam is not a member. so in 20 years Florida Georgia line will be eligible? I hope I’m dead by then. Oh, it’s worse than that. They first came to national prominence in 2012 so we are only 14 years away from the big HOF induction ceremony! These hall of fame rules are very excellent and strict measurement applies.Great. Prior to 2010, how were people elected into the Hall? Is this information somewhere? Brandi Simms@CMA With each passing year, I find it more and more ridiculous that Gene Watson is not a member of Country Music Hall of Fame. He deserves to be honored for a lifetime of Country music. He is awesome. How can we help him get the honor he deserves? Gene Watson all the way! I emailed you and wanted Gene Watson inducted and you replied you were going to turn it over to the committee, I hope you have and have considered him as a nominee , he is an extremely talented singer and a nice guy, he needs to be in the Hall of Fame, he has a lot of fans who are saying the same thing, please consider him! Gene Watsons name was listed among the ones listed for the Hall of Fame,why isn’t he higher up on the list he has more number one hits and is true country music more than some mentioned,why would they think Marty Stuart deserves to be in there before Watson is?Is it because he is married to Connie Smith,has he ever had a hit other than with Travis Trint?We know Marty does a catalogue of history for country music but that’s not enough, The older ones have to wait until they are old old and then some of them never get to see while they are alive.HOF needs to be reorganized.They also could put more in at one time then they do.Just my opinion I have nothing against anyone.Love classic country music. I liken the CMHOF committee 2 the MLB voting process. All the HOF members alive from the 60s on up 2 the present time should be the only ones 2 vote 4 CMHOF entry. I think the baseball process should b the same as well (only the players already there). Has Charlie Pride been mentioned . When you look at Hank Jr remember when he sand his dads music and writing and sing his own before and after the accident, that is raw God giving talent. The HOF needs to change its rules , criteria or something. The Hall of Fame is all about making money. If it’ wasn’t then Hank Jr would be in. I mean how can you put Garth Brooks in before Hank is country and Garth is a cross over.